Do I need to prime when I use the chalk paint? Our spray chalk paint can be applied to untreated wood without the need for primer. If you want to use it on a varnished surface we recommend that you key the surface first by lightly rubbing it with sandpaper. If you are using our chalk paint on a non-porous surface like plastic or metal using our spray primer will help the paint to bond to the surface. Can Pinty Plus chalk finish paint be used for projects that are going to be left outside? Yes, you can use our chalk finish paint for exterior projects, providing you finish them with a spray varnish to provide protection from water. There are three finishes of varnish, matt, satin and gloss. They all provide the same level of protection, but just offer a different finished appearance. The matt varnish is your best choice if you want to maintain the appearance of chalk paint. Do I need to wear a mask when I’m using your chalk paint? Do I need to finish my chalk paint project with a wax or varnish? 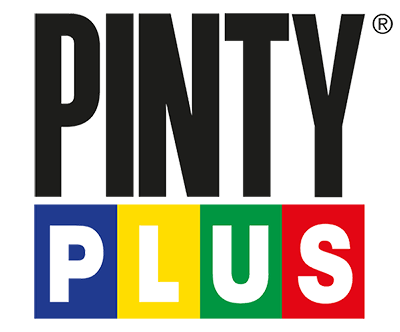 Applying our Pinty Plus spray wax or varnish to a surface which has been painted with Pinty Plus chalk finish paint will protect it and help it last longer. It may need protecting if it’s a surface which is going to experience a lot of wear and tear or contact, like a chair, or if it is going to come into contact with liquids, like the surface of a table. However if you are planning to spray a picture frame and hag it on the wall where it will stay untouched you can skp this step. What is the difference between wax and varnish? Like all furniture wax, Pinty Plus spray wax will need to be polished once applied and intermittently reapplied to feed the surface. Varnish is a one time application. The choice between the two is entirely personal preference as people tend to have a finish they prefer. What is the difference Between Alkyd (Basic Range) & Acrylic (Evolution Range) Paint? How much will one can of Pinty Plus chalk finish paint cover? Will the varnish make my chalk paint project go yellow? Can I recycle your cans? If empty, aerosol cans may be recyclable (local council guidelines depending). If partially full, they are treated as household hazardous waste. How can I get a better idea of what the colours of your chalk paint range look like? Do your aerosol paints have expiration dates? 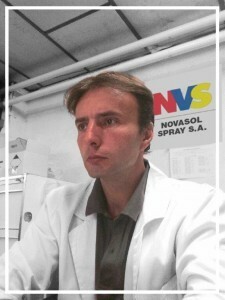 To clarify this further we spoke with the Industrial Director of Novasol Spray, Charles Mongay, who explained that the expiry of an aerosol spray is determined by what product is inside. However, opening the can does not affect the shelf life of the product. He states, “The reason for these findings is that whatever the product inside, there is an area of gas that is responsible for maintaining the pressure of the pot. The special design of our aerosols means that they are constantly in a state of ‘pushing out’ as if to escape and this gives us a very interesting feature: it prevents the entry of external agents such as oxygen itself or microorganisms that can alter the product. So in respect of painting, it is the ideal way to conserve the product”. How does the Paint Stripper Spray work? Apply the product on the area that you wish to remove and wait a few minutes for the stripper to work its magic. Then you can remove the unwanted surface product with a cloth or with help of a scraper. The longer you leave it, the greater the result. You can repeat the process as many times as you require until the surface is ready. In one case, when the stripper was used on wood, we only had to wait for 1 minute. However this does depend on the timber you want to clean and how many coats of the unwanted product has been applied. The formulation of paint stripper was stronger in the past when manufacturers used harsh chemicals which were a danger to the environment. Today the new formulations are not as immediately effective as before BUT they still do their job very well. This is a SMALL inconvenience worth enduring for the sake of minimising pollution from the products we use. Any further questions, our friendly and knowledgeable sales team can be contacted on 0044 (0)1730 887423.